I get asked a lot of questions about fillers and what I think would be good for a client. 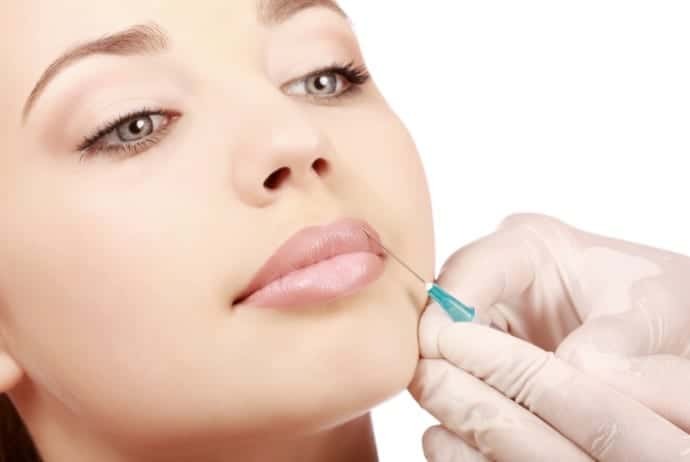 There are more and more fillers coming out as non-invasive surgery gains in popularity. When done right, these products can slow the aging process and prevent more invasive procedures down the road. However, great skin doesn’t come out of a needled. You need to put the right fuel in your body, hydrate, wear SPF, and get a skincare routine that works for your needs. We only get 1 face so we have to take care of it. If you have any questions on the infographic please post below. Yes, Black Friday is almost here. Shopping online and shopping small are increasing in popularity. Shopping online is easy and convenient. Shopping local small businesses provides support for the local economy, charities, sports teams, etc. The great news is with BE Beauty, you can have your cake and eat it too. You can shop both Chloe + Isabel and Jamberry Nails online and support my small business. Support of my business helps to pay for my Lupus and Fibromyalgia treatments. I also use my business to support the Center for Child Protection in Austin, VHS Viper Cheer, Angels Afoot, VHS Viper Band, Steiner Ranch Elementary, and Riverbend Church. Talk about #goodshoppingkarma. I’m waiting on the Chloe + Isabel Black Friday Deals. I will put them out as soon as I get them. However, I DO have the Jamberry Black Friday Promos and they are posted below. Don’t forget with Jamberry you get Buy 3, Get 1 free. No limit, no coupon code required. Right now as I type this, every store in the mall will be switching to Christmas decor and start playing the Christmas music. There are only seven shopping weekends until Christmas and three weekends until Thanksgiving. It is holiday hustle time where you have to cram even more into your already packed schedule. More cramming = more stress, more stress = sick, tired, and burnt out. This past week has been a huge crash for me. I got sick, ended up in the hospital, and have been fighting my lupus-fibromyalgia flare. It has been extremely difficult and I’m having to go back to the beginning of my Mayo Clinic treatment plan. One of the biggest things Mayo Clinic stressed for people who manage chronic conditions is to have a good self care plan and to practice it. Since I need to redo and recommit to my self care plan, I thought it would be fun for us to do it together as a group. Each Sunday, I will post about self care and I would love to hear about what you do to be kind to yourself. I hope we can kindly remind each other to take a breath and allow our bodies to heal and rest. Researching for this post, I found this self care model. It is very similar to the one I received at Mayo Clinic. I have posted the link below so you can print it out. I’m going to fill mine out and post it in the rooms I am most often- my bathroom, my studio, and on the fridge. I encourage you to make a plan with everyone who lives with you. Self care is important for everyone. I would love for you to share your self care plans on my facebook page. Bryttannee Eaton Beauty is SO excited to relocate to Austin, TX. We provide makeup artistry and airbrush tanning services mobile and in studio. In our studio, we carry the best products from head to toe to keep you looking beautiful. We are competing in Austin Fashion Week and will be posting all the Austin Fashion Week excitement.